Rev. Fr. 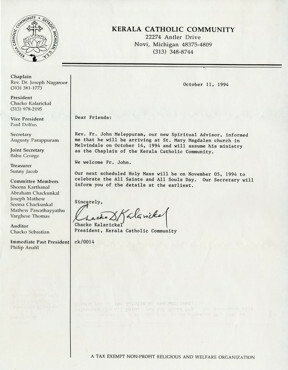 John Meleppuram, our new Spiritual Advisor, informed me that he will be arriving at St. Mary Magdalen church in Melvindale on October 14, 1994 and will assume his ministry as Chaplain of the Kerala Catholic Community. 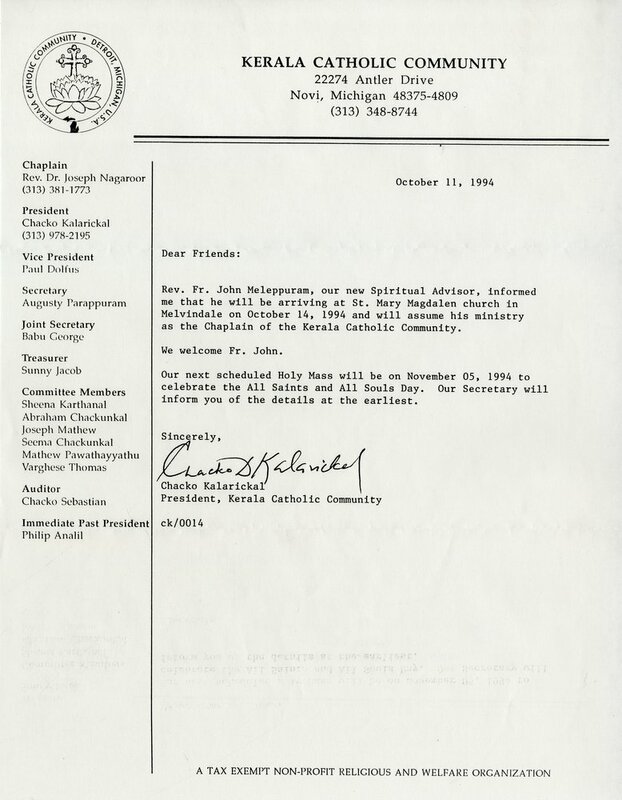 Our next scheduled Holy Mass will be on November 05, 1994 to celebrate the All Saints and All Souls Day. Our Secretary will inform you of the details at the earliest.